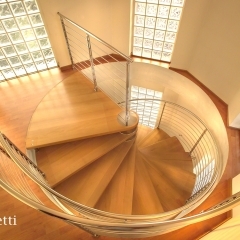 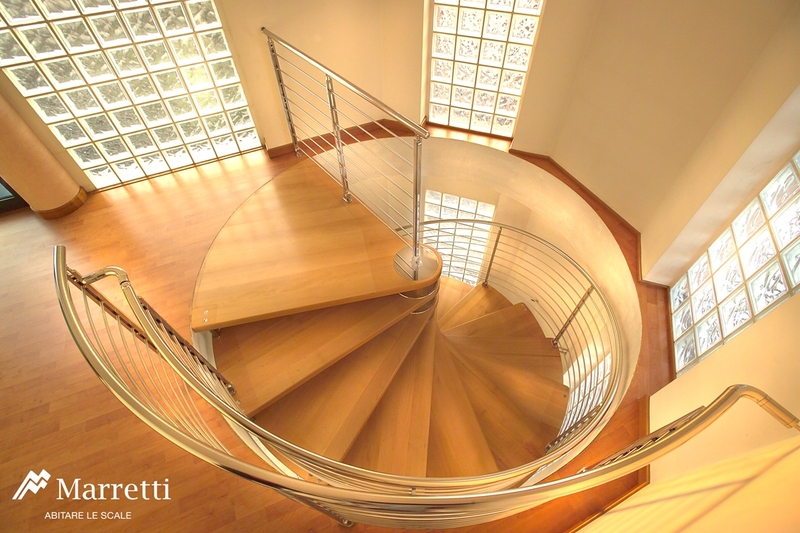 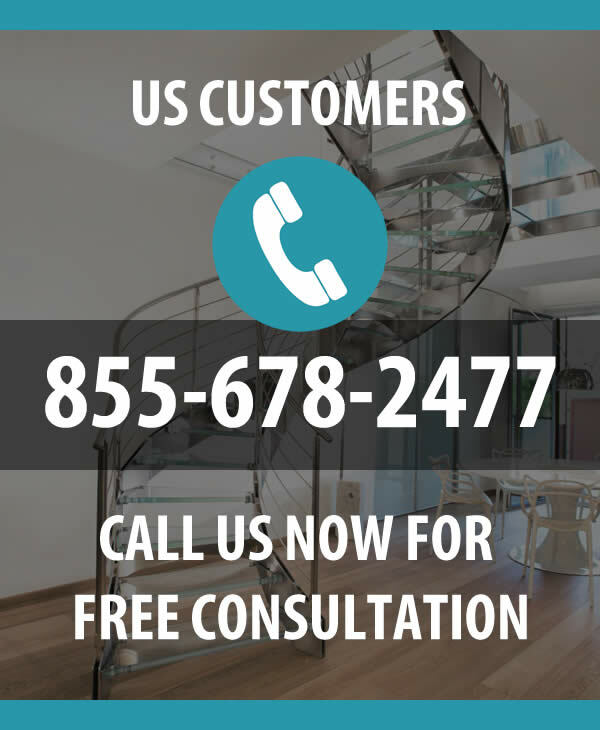 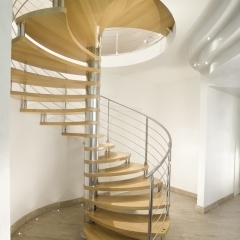 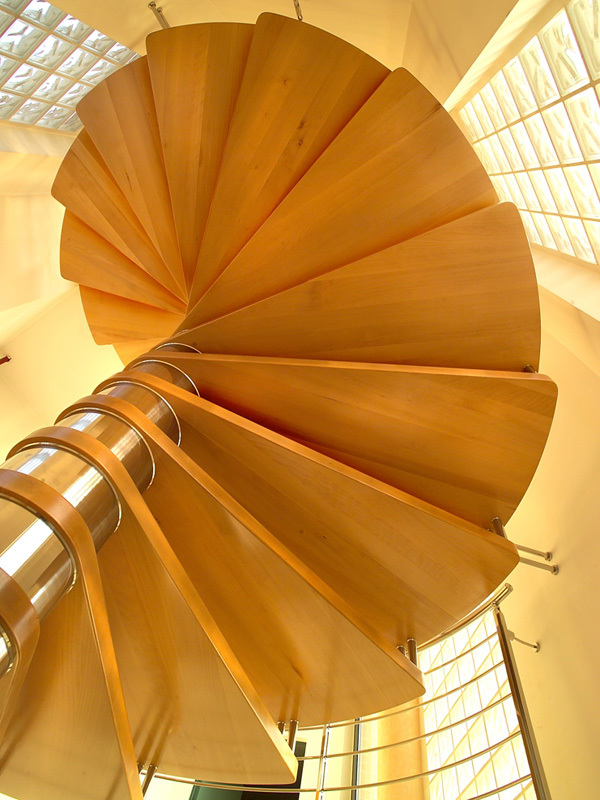 The wooden-stainless steel spiral staircase comprises wooden steps that come in various types of wood (Beech, Oak, Doussie, Wenge, Iroko, Teak) and with several finishes (oil, bleached, polyurethane varnishes, etc.). 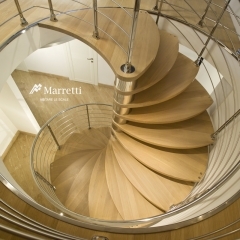 The thickness of the step can vary (42-52 mm) depending on the diameter Ø of the staircase between 100 cm and 300 cm. 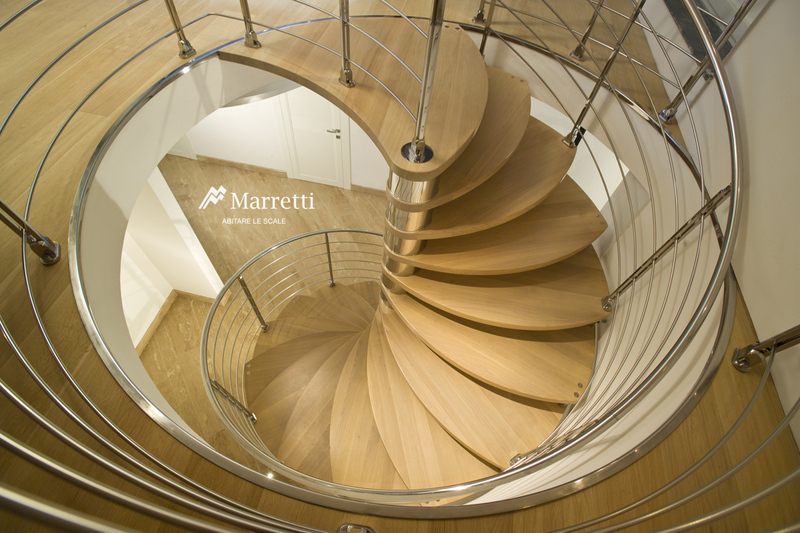 The metal parts are completely made of stainless steel with no welds and are assembled only through mechanical fastenings. 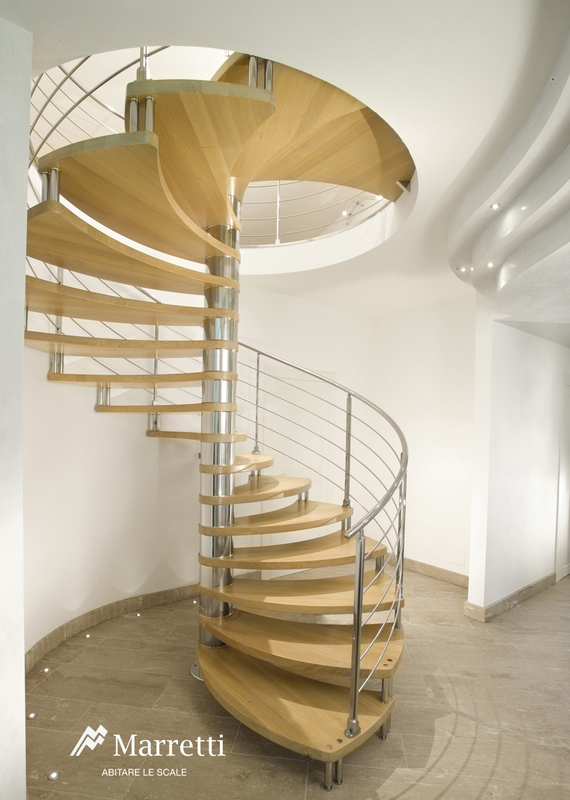 The finish can be polished or satinised.